Discussion in 'Software Reviews Chit Chat' started by Spirit, Sep 16, 2013. We require a fair and a good review of Hitman Pro for our Review section. 1.Any Registered Member can post the review. 2.Review should not be a copy-paste job. Prizes for Members Participating in Review. The Review which will be selected the best by forum staff/Admin/Mods will appear in review section and winner will get 1 license of Hitman Pro. Hello this is my review. 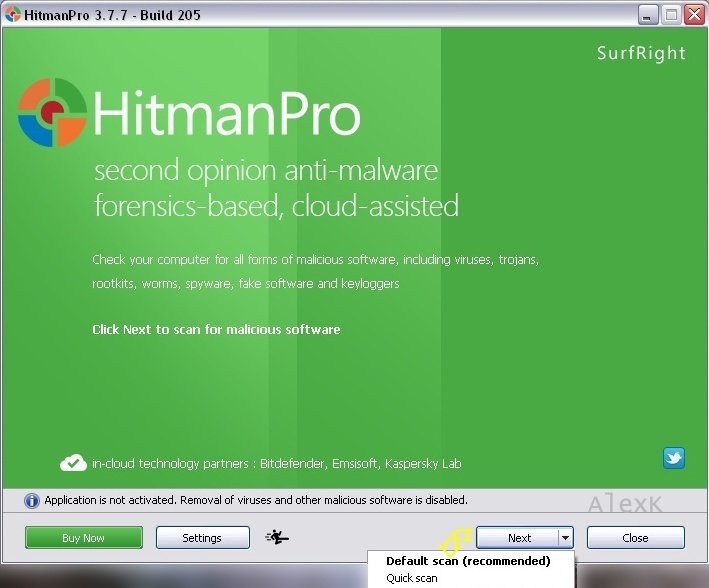 Who has not heard of the program from the company SurfRight HitmanPro? Are there such people? Probably. For them, I will try to bring some HitmanPro what it is and why you have it on your computer. Although the program is small then its possibilities are very large. Well just take a look at what can this small on-demand scanner. The program excels at removing the following threats from your computer: viruses, trojans, rootkits, worms, spyware, keyloggers, ransomware software and tracking cookies. Admit that impressive list! Because the program uses technology companies such as Bitdefender, Kaspersky Lab and Emsisoft and is very effective. Installation and operation of the program is very simple. Even novice users will strike deal with it without a problem. 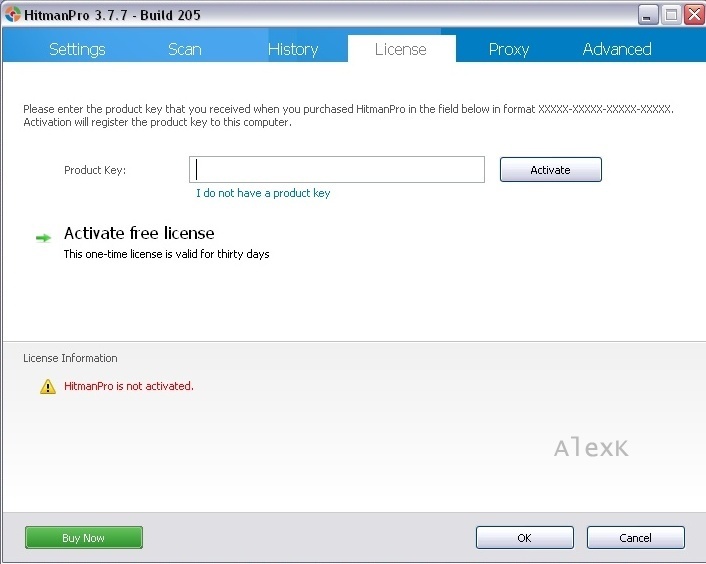 HitmanPro is a scanner that runs without installation. 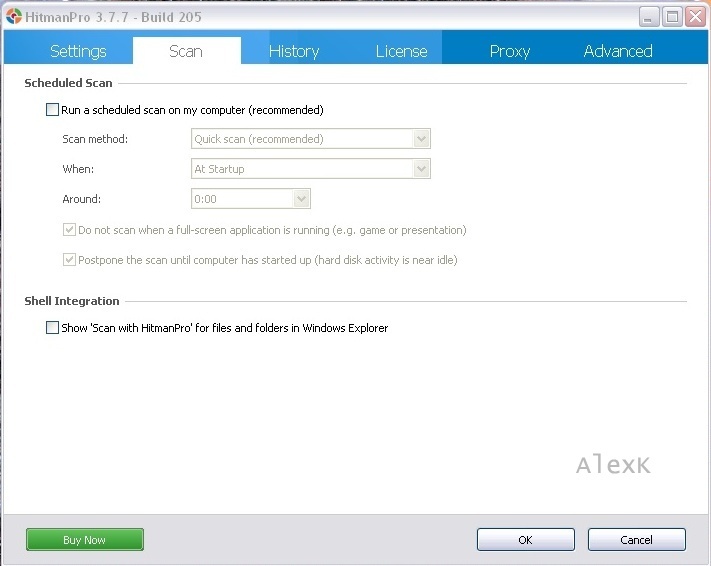 Just grab the exe file and you can start to scan for viruses. As you can see scan showed no viruses on computer. Also pay attention to the scan time, which was 1m 57s! HitmanPro opportunities are not limited to scanning the areas most vulnerable to infection. 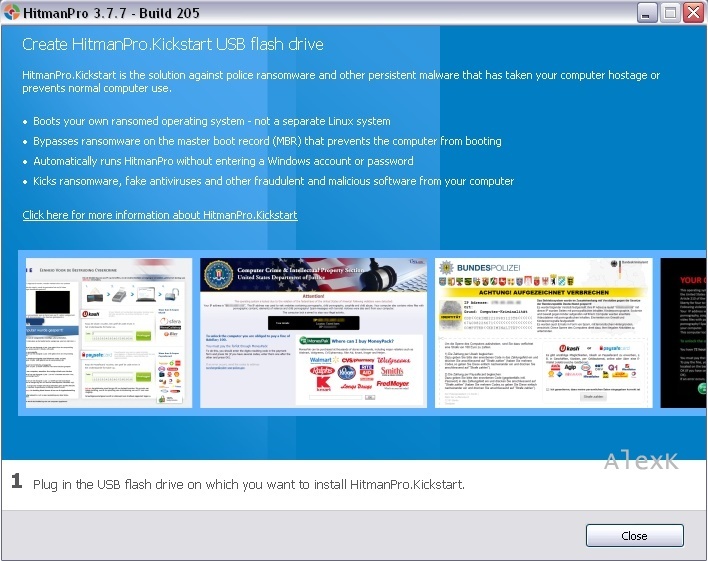 With the module, called HitmanPro.Kickstart we can create on USB flash drive vaccine for viruses from the ransomware "family". To start HitmanPro.Kickstart, just click on the figure the man at the bottom . Then HitmanPro guides you through the installation process of the vaccine. With this solution we can easily unlock our system and remove the virus which blocked our computer. 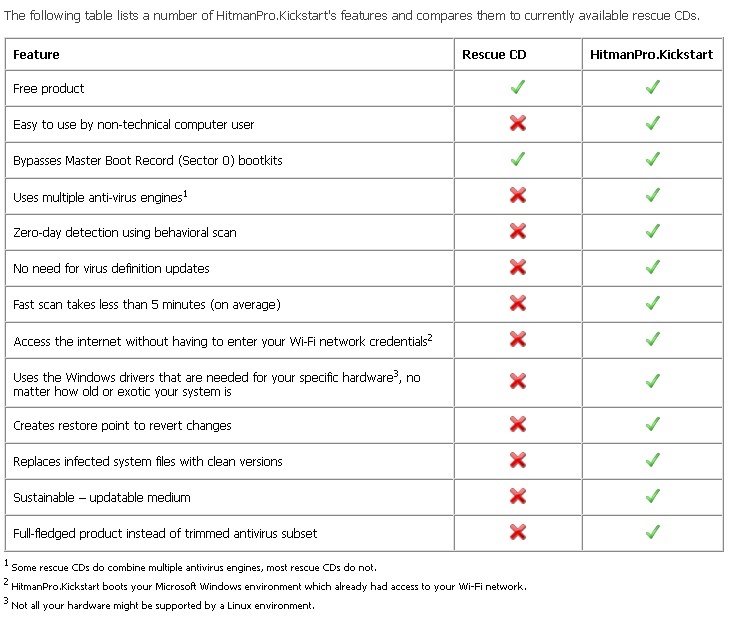 In summary HitmanPro is the perfect complement to our computer security system. I had some free time and decided to try it. Is it good enough? We'll see. Only Alexk have participated in review section so he is the only participant and clear winner. License of HPM sent to Alexk.